Darjeeling: Gorkha Janmukti Morcha has demanded the resignation of Darjeeling's "tourist" MP S.S. Ahluwalia, sensing growing disenchantment against the BJP leader days before his visit to his constituency after over eight months that saw the hills wracked by unrest. 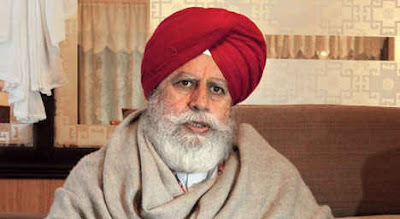 "We hear our tourist MP, S.S. Ahluwalia, will be coming to Siliguri on February 17. When he was needed in the hills, he preferred to remain a mute spectator in Delhi. He has lost all moral right to come to the hills," Morcha president Binay Tamang said on Thursday. Ahluwalia, also the Union minister of state for drinking water and sanitation, is slated to inaugurate a passport centre in Siliguri on February 17. "He has become a minister for drinking water but his constituency is reeling from water scarcity," said Tamang, who also heads hill body Gorkhaland Territorial Administration. Tamang said the people of the hills had realised that Ahluwalia had "no love" for them. "Instead of visiting his constituency, he should tender his resignation." Tamang demanded an apology, too. "When it was time for him (Ahluwalia) to stand with us, he decided to act like a minister and watch the show from Delhi." The Morcha leader said that unlike before, Ahluwalia should not expect a warm welcome in the hills. "Unless he apologises and resigns, the tourist MP could face protests from the aggrieved people." Gorkha Janmukti Morcha has demanded the resignation of Darjeeling's "tourist" MP S.S. Ahluwalia, sensing growing disenchantment against the BJP leader days before his visit to his constituency after over eight months that saw the hills wracked by unrest.